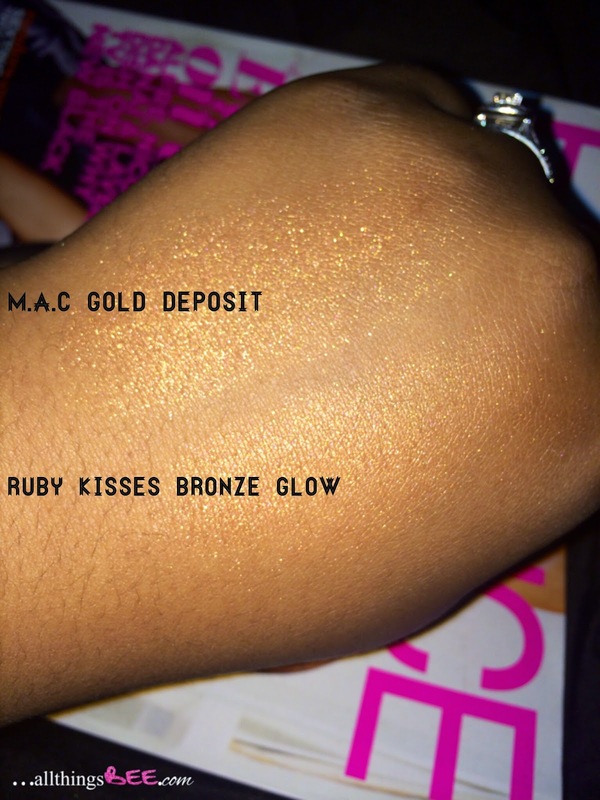 M.A.C Cosmetics beloved Mineralized Skin Finish in Gold Deposit has a dupe out there for only $3.99! 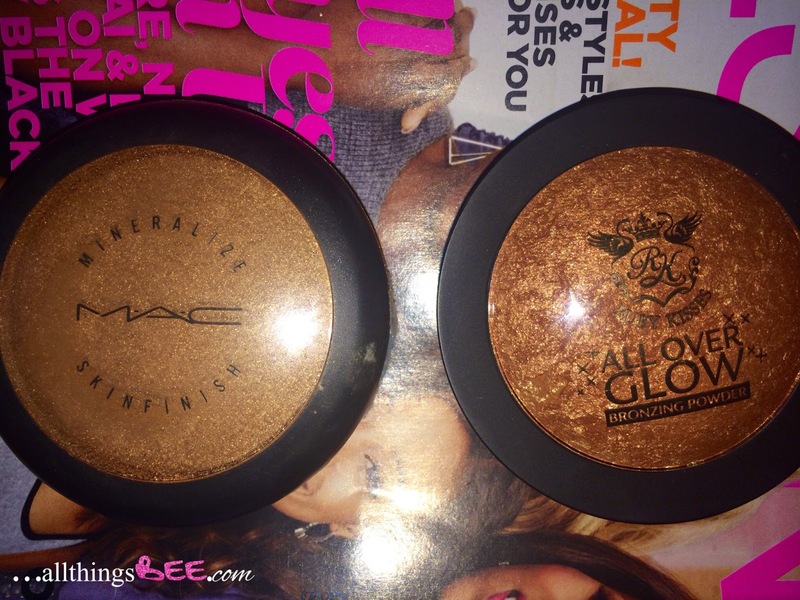 Mineralized Skin Finish is easily one of MAC’s best products. On this particular day, I was heading out to purchase yet another gold deposit but ran out of time on the way to a client. So, I stopped by my favorite local beauty supply store here in GA (Beauty Master at Camp Creek Marketplace) to see if they had something similar. 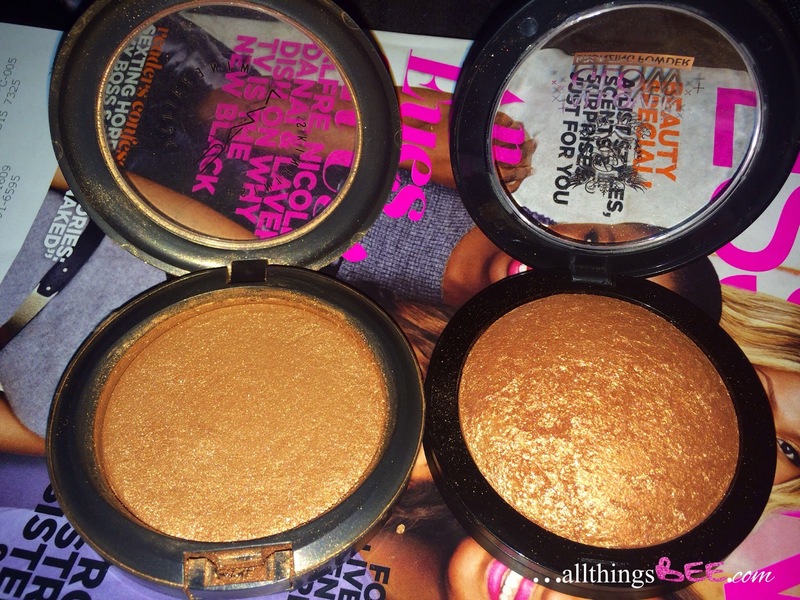 That is where I found Ruby Kisses All Over Glow Bronzing Powder! I said a little prayer when I bought it, hoping it would do until I could make it to MAC. When I find something that works, I like to stick to it. Why did I need another one? As you can see my Gold Deposit is a MESS! I dropped it on a job. Sad right? Thankfully, this product came through for me. Not only did it serve its purpose giving my client a beautiful glow, but I returned and purchased more. It saved me money! Like, $20. Gold Deposit costs $32, but with my MAC Pro Card, I only have to pay $20. For the regular consumer that’s $28.01 that gets to stay in your pocket. Depending on where you purchase it from, it may cost a little more, but no more than $5. Any-who if you would like, You can still purchase Gold Deposit. As you’ll see in the pictures/swatches below they are similar, but Ruby Kisses is a little more copper toned. Gold Deposit looks like pure gold! Some won’t see much of a difference in the swatches, but to others (like us makeup artists) the difference can be huge. What do you guys think? Can you tell the difference? Go on and give it a try, its only $3.99!